OnBrand24 delivers 30+ years of ecommerce customer service outsouring experience for retail and ecommerce companies in the consumer packaged goods, food & beverage, restaurant, clothing and jewelry and candy confectioners sectors. OnBrand24 implements custom outsourced call center services programs that help retailers and e-commerce companies get closer to their markets and their customers, reinforce customer loyalty and express their unique brand. And we reduce our client's cost of doing business. Our inbound services include customer service, order processing and order taking, help desk, email and chat. We operate 24/7/365, and we have Spanish, Portuguese and Canadian French language capabilities. As a leader in eCommerce Call Centers, OnBrand24 has the people, process, and technology in place to make a seamless, powerful impact on any business. OnBrand24 call center services operate 24/7, so we can extend your hours of inbound call center customer service into the evenings, overnight and weekends. And we can handle overflow calls during your peak business periods. Or you can outsource your entire call center operation to us. What distinguishes OnBrand24 customer service outsourcing? Our customer service specialists. OnBrand24's "advanced agent model" provides clients with the maturity, education and experience that is unusual in the call center services industry. All of our call center agents are premise-based at one of our contact center facilities in Beverly, MA (near Boston) and in Savannah, GA – they do not work from home. Our on-site call center staffing model promotes better quality assurance, work performance monitoring, knowledge-sharing and reinforcement of lessons learned during training sessions. We do not source our clients' customer service outsourcing programs with any other service providers. OnBrand24 can quickly scale your call center outsourcing program -- either adding to your team or reducing it -- according to changes in your seasonal call volume. 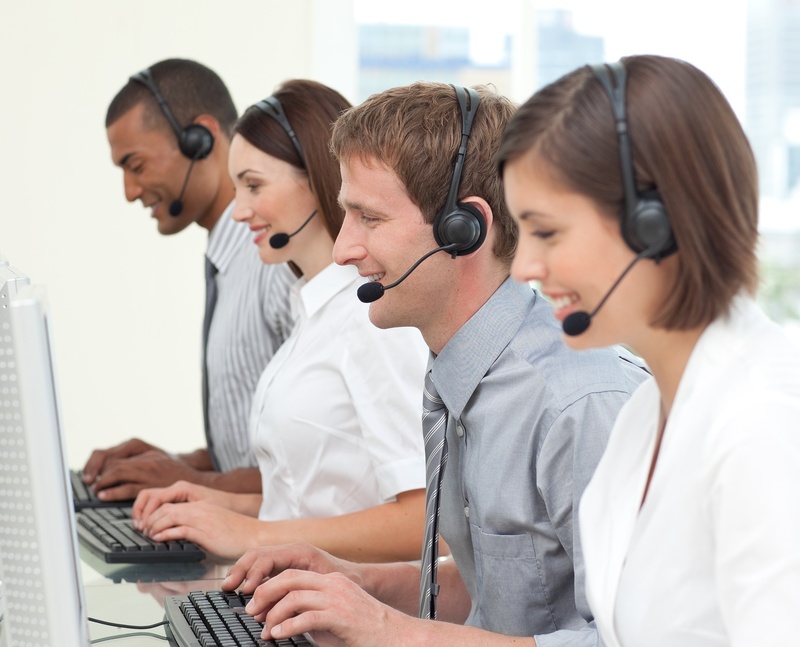 Many retailers need more inbound call center support staff during the fourth quarter and fewer the rest of the year. Our call center outsourcing staffing model provides you with elastic staffing resources, and saves you the trouble of hiring and laying off employees. We also continually invest in our state-of-the-art IT and call center services telephone infrastructure. OnBrand24 inbound call center programs build on the investment retail and e-commerce companies make in advertising, public relations, social media and SEO by putting a voice to your brand and strengthening your connection to your customers. In today's retail and e-commerce industry, customer service standards continue to rise while margins shrink. The competition for market share gets tougher every year. A key competitive advantage is superior customer relations and customer service. It's integral to setting you apart in a crowded market – whether it's winning new customers or retaining existing ones. Your brand's reputation is paramount, especially as social media become universal and online word-of-mouth quickly finds customers seeking peer-to-peer reviews. We understand the risks and rewards of outsourcing customer service and customer interactions, our call center's inbound customer service programs have a great record of protecting our retail and e-commerce clients' brands. So if you're considering outsourcing customer service, think about OnBrand24. Our call center solutions boost sales and brand loyalty while cutting your business costs. Our goal: Become a direct extension of your brand; customer service, inside sales and marketing team. We're an award winning call center outsourcing company with more than 30 years of experience. Let's talk about how OnBrand24 call center services can help your retail or e-commerce customer service business. Contact us today. We'll design and implement an inbound call center solution that will delight your customers - and you.